Leah Penniman. Farming While Black: Soul Fire Farm’s Practical Guide to Liberation on the Land Chelsea Green, 2018. This is the second copy of this book sent by the publisher. The first was snapped up off my desk by a colleague who was desperate for this book, not even knowing it existed. This book is way more than a how-to guide, although it does that part splendidly. It thoroughly integrates farming basics with necessary elements of supportive community, grounded in Penniman’s experience with Soul Fire Farm near Albany, New York. Every section emphasizes the importance of community. On finding the right land: make sure it is geographically accessible to a community where you feel you can belong. On mission statements: train and empower aspiring Black, Latinx and indigenous growers; advance healing justice. Every section emphasizes resources for Black farmers—scholarships, training programs, university programs, food hubs—and the contributions of traditional African and modern African-American farmers to what we know about how best to conduct sustainable agriculture. The book is firmly grounded in history. I particularly appreciated the annotated timeline of the trauma inflicted on Black farmers induced by racism. This history begins with slavery, but continues through police brutality, convict leasing, sharecropping, Jim Crow laws, land theft, USDA discrimination, real estate redlining, and today’s mass incarceration and gaps in income, food access, and power. We sat with pride as we went around the circle introducing ourselves, talking about our frustrations with not being represented at food and farming conferences. I sat in awe as this young Black woman [Penniman] engaged us in conversation about race and power…this masterpiece of indigenous sovereignty [Farming While Black] sheds light on the richness of Black culture permeating throughout agriculture. Just 60 years ago, seeds were largely stewarded by small farmers and public-sector plant breeders. Today, the proprietary seed market accounts for 82 percent of the seed supply globally, with Monsanto and DuPont owning the largest shares…Beyond simply preserving the genetic heritage of the seed it is also crucial to our survival that we preserve the stories of our seeds…our obligation is to keep the stories of the farmers who curated the seeds alive along with the plant itself. It matters to know that roselle is from Senegal and tht the Geechee red pea is an essential ingredient in the Gullah dish known as Hoppin’ John. In keeping the stories of our seeds alive, we keep the craft of our ancestors alive in our hearts. Adopting a listener’s framework is the first step for white people who want to form interracial alliances Rather than trying to “outreach” to people of color and convince them to join your initiative, find out about existing community work that is led by people directly impacted by racism and see how you can engage. This is an important book for everyone who cares about farming and agrarian values, regardless of color. American Farmland Trust has a new report out documenting the rapid loss of farmland to urban and suburban development. Liz Carlisle. 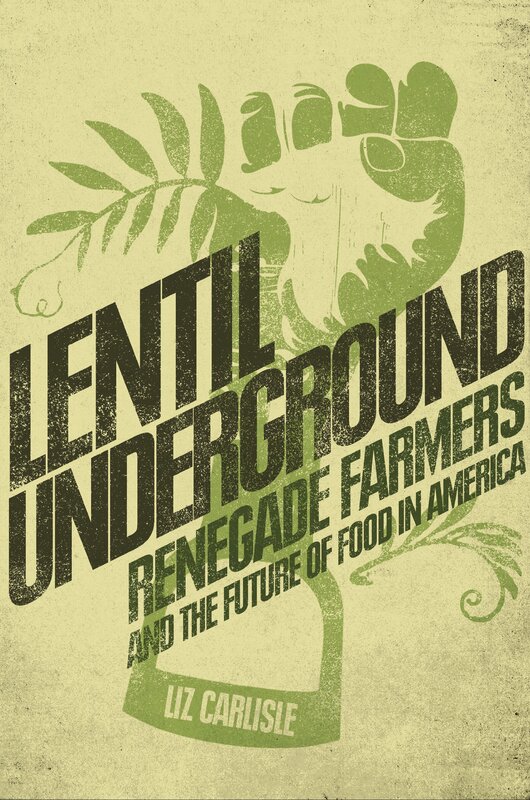 Lentil Underground: Renegade Farmers and the Future of Food in America. Gotham Books, 2015. What does it take to farm sustainably—and make a living? Liz Carlisle tells the engrossing story of the “audacity rich, but capital poor” Montana farmers who thought lentils were the answer and stuck with them until proved right. Anyone who dreams of starting a farm or wants to know how organic farmers can overcome the obstacles they face will be inspired by this book. Tessa Edick. 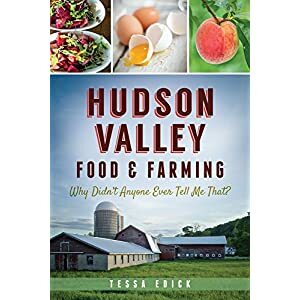 Hudson Valley Food & Farming: Why Didn’t Anyone Ever Tell Me That? American Palate, 2014. I live in New York City, where “locally grown” has a meaning all to itself, but the Hudson Valley is a big part of it and a well kept secret from many of us city folk. Edick, who writes a “meet the farmer” column for upstate newspapers, makes it clear that when it comes to growing food, the Hudson Valley is special. Her book introduces readers to its farmers, products, and programs, lavishly and gorgeously photographed. Atina Diffley, Turn Here Sweet Corn: Organic Farming Works, University of Minnesota Press, 2012. I blurbed this one, with much pleasure: “Turn Here Sweet Corn is an unexpected page-turner. Atina Diffley’s compelling account of her life as a Minnesota organic farmer is deeply moving not only from a personal standpoint but also from the political. Diffley reveals the evident difficulties of small-scale organic farming but is inspirational about its value to people and the planet.” The book comes with an insert of glorious photographs illustrating the history she recounts. The political? The Diffley’s fought to keep an oil company from running a pipeline through their property—and won. David Hanson and Edwin Marty, Breaking Through Concrete: Building an Urban Farm Revival, University of California Press, 2012. Wonderfully photographed visits to a dozen urban farms all over America from Seattle (P-Patch) to Brooklyn’s own Annie Novak’s Eagle Street. The authors asked hard questions and got honest answers. This is a great resource for anyone who wants to get started, and the beautiful farms and farmers are well worth a look. Jennifer Cockrall-King, Food and the City: Urban Agriculture and the New Food Revolution, Prometheus Books, 2012. Cockrall-King went international. She visited cities in the U.S., England, France, Canada, and Cuba to see what urban farmers were doing to create alternative food systems. They are doing plenty. This looks like a great excuse for ecotourism, dropping by, seeing for yourself, and getting to work. 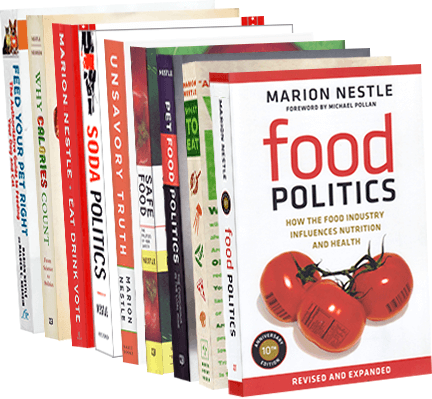 It’s spring and the books about food and farms are flooding in. I’ll start with these. Daniel Imhoff, Food Fight: The Citizen’s Guide to the Next Food and Farm Bill, Watershed Media, 2012. Michael Pollan and Fred Kirschnmann introduce this new, gorgeously illustrated edition of Imhoff’s lucid explanation of the farm bill and the vast number of issues it covers. I’m not aware of anything else that comes close to explaining this most obscure and obfuscated piece of legislation. Congress is fussing with the bill right now. If you want to understand what your elected officials are fussing about, start here. I will use this book in my NYU classes and will borrow the stunning illustrations for talks. Jim VanDerPol, Conversations with the Land, No Bull Press, 2012. This is a book of personal reflections on farms, farming, and farmers. VanDerPol talks about the weather, people and communities, and better ways to produce food and to live. From his base in Minnesota, he gives his thoughts about the way agriculture has changed and what can be done to make it better. Oh no! Flooded Organic Farms! Jim Harkness of the Institute for Agriculture and Trade Policy in Minneapolis sends this link to a video showing what the floods have done to organic farms in the Midwest. Nobody ever said farming was easy, but this seems especially tragic.